What is the best way to enter an order? You have a variety of options. You can enter the order through the website (see below) 24-hours a day; Or you can call our toll-free number at 1-800-Fast Hot; Or you can email scott@warrenhvac.com for Unitary Quotes, davidr@warrenhvac.com for Duct Heater Quotes, frank@warrenhvac.com for Unitary/Duct Heater Quotes or trino@warrenhvac.com for VAV/Airside Quotes. 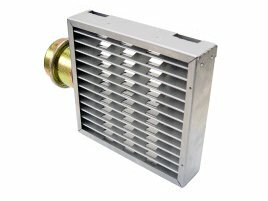 How do I enter a quote for Custom Built Electric Duct Heaters using the website? To enter a new quote, select the Quotes from the left hand menu. Select New Quote in the upper right hand corner just above the search bar. Then select Custom. You are greeted with an Items Heading. Just below this heading is where all your items will be listed once you add them. Start by selecting the first line items mounting type. You can see an example of each type by selecting it from the list and clicking on the image. Then you will need to select the position of the heater. You also can see a preview of each position by clicking on the image. Once you have selected the type and position you can then add all the electrical information and duct work information. All duct fields are in “inches”. If you selected a round duct from the mounting type you will need to select a size for the round duct connection from the drop down. Once again sizes are in inches. 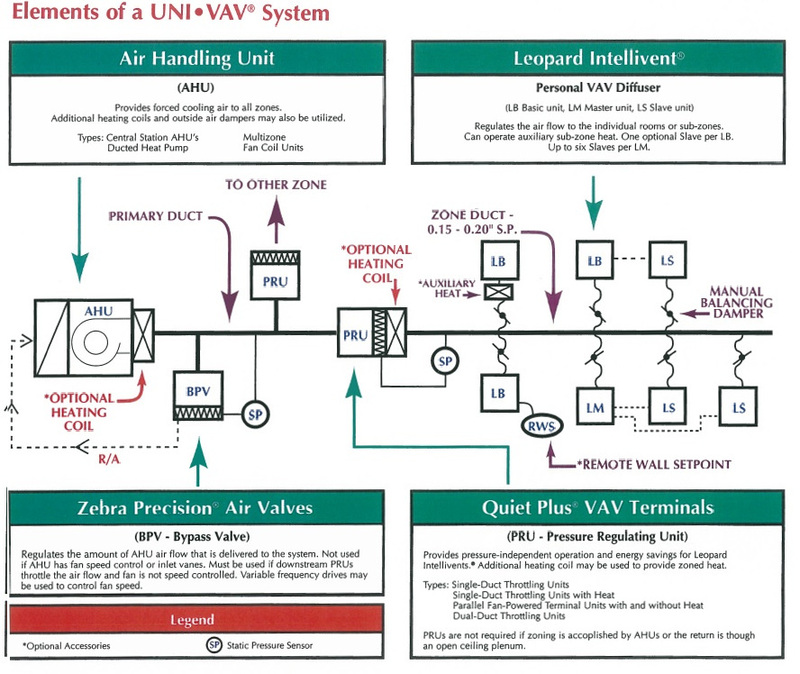 Occasionally you might be prompted with a pop-up alerting you of a potential issue with your order or accessories that are required to make this heater UL certified. After you have entered all the information for your item you MUST click the add item to quote button. You should see a pop up that says “Success! The item has been added”. Once you’ve added an item you will see your item listed just below the items heading. Clicking on the item drops down all the information for that item. You can add each item following the same steps. If you want to permanently store your quote in our database, you can click Save Quote. The first time you save the quote, a quote number will be assigned to it. If you wish to modify your quote after saving it, go back to your Quotes menu and click the Action (red) arrow of the quote you wish to modify. Select edit from the drop down. There are two buttons under each item’s action. One is a trash can. This deletes the item completely. The other looks like a pen & paper. This is the edit button which populates all the fields below with the items information to edit. Once you’re done editing that particular item you click save item to commit the changes on the page (this doesn’t save your changes in our system). Once you’re done editing your quote you will need to hit Save Quote for your changes to override what’s in the database. At any time you can click Cancel and none of the changes you made will be saved. If you would like to print your quote, go to the Quotes Module menu and hit the Action (red) arrow. Select Print quote and a pdf version of your quote will appear. You can either print or download this pdf. To release a quote to production, select the Quote menu then select the Action (red) arrow of the quote you wish to release. Click the release button. You will be prompted to enter your P.O. number. An email will be sent to sales alerting them of your request. Sales will assign an invoice number to your quote and it will be moved from the Quotes menu to the Orders menu. Once you release your quote, you will not be able to modify it from the Warren website. Please contact us if you want to make changes to it. Once the order is in production, changes may or may not be possible. How do I enter a quote for Unitary Insert Heaters using the website? Before you start entering a quote online (search for OEM heater cross references if you’re not familiar with the Warren Model numbers). To enter a new quote, select New Quote from the Quotes Menu. Then select Unitary. When you click on the New Quote button, a blank quote will appear on your screen. To add line items to your quote, you need to select the brand first, then it will give you a list of Warren Heater series within that brand, then you select the specific model you’d like from that series. Once that’s done you select the quantity you want then click the disk button (save) under the action heading. This will allow you to enter the next line item if required (the system will automatically pre-populate the next items brand and series) or if you only need one line item you can click the red button SAVE at the bottom the screen. Important: You can only add Warren models that have an OEM heater number associated with them. Please call us if you don't see an OEM heater number (these are obsolete models). It is your responsibility to make sure that the OEM heater number is accurate. If you want to permanently store your quote in our database, you can Save it. The first time you save the quote, a quote number will be assigned to it. While entering/editing your quote, if you want to retrieve the last saved copy of the quote and discard the current changes you have made, you can click on the Cancel button. If you wish to modify your quote after saving it, go back to your Quotes menu and click the Action (red) arrow of the quote you wish to modify. Select edit from the drop down. There are two buttons under each item’s action. One is a trash can. This deletes the item completely. The other looks like a pen & paper. This is the edit button which populates all the fields below with the items information to edit. Once you’re done editing that particular item you click save (disk) to commit the changes on the page (this doesn’t save your changes in our system). Once you’re done editing your quote you will need to hit Save Quote for your changes to override what’s in the database. At any time you can click Cancel and none of the changes you made will be saved. What are the different STATUS levels and what do they mean? SALES: Order is being reviewed, but has not been released to production. There may be a question on your order pending. QUOTE RELEASED FOR PROCESSING: Order has been entered into the system, but has not been sent to factory. DATA PROCESSING: Labels and paperwork for your order have been run. ENGINEERING: Engineers have been assigned to your order. Review to see if there are any engineering issues. CAD/CAM work is started/completed. SUBMITTAL REQUIRED: Order requires that a submittal be approved prior to release to the shop. SUBMITTAL IN SALES: Submittal is done. Was emailed to the customer on file and is pending approval. SUBMITTAL APPROVED: Sales has received your approval and the order is placed back in queue. CHANGE ORDER: A change was submitted and is being processed. ORDER JUST SENT TO SHOP: Order is sent for production. SHEET METAL: Order is in production, metal has been cut and heater box/plate formed. COMPONENTS: Order is in production, components have been placed on/in heater. IN WIRING: Order is in production. Ceramics and Labels are placed on your heater. CONTROL WIRING: Order is in production. Low Voltage wiring is added to the design. POWER WIRING: Order is in production. High Voltage wiring is added to the design. FINAL ASSEMBLY: Element Racks are placed on heater. ON HOLD: Order is on hold. IN SHIPPING: Order is being packaged for shipment. SHIPPED: Order has been shipped from factory to customer. CANCELED: Order canceled by customer. Cancellation fees apply. What are your Production Cycles? **SPECIAL NOTE**: Due to component availability, your order may not ship under the expedited production schedule listed above. Check with your Warren Sales Rep.
Can you ship on an emergency basis? We have an wide range of options available. You can add the following percentages to your quote: 40% for 72 hours, 25% for 5 Business Days, 20% for 10 Business Days, 15% for 15 Business Days. How do I obtain Submittals? You can request the factory for any submittal. There is 1% charge, $25 minimum, when there is no purchase order. How do I order literature? Check our resources page online or reach out to us by phone or at warren@warrenhvac.com. What is your shipment policy for Part orders? Warren ships Part orders via UPS/FEDEX. When your order ships, you will be emailed a shipment notification with the UPS tracking number. Once you have your tracking number, your shipment can be tracked on our website by selecting the Orders menu then selecting the action button then tracking information or at www.ups.com or www.fedex.com. All commercial heater prices shown are list F.O.B. factory, Hialeah, Florida. 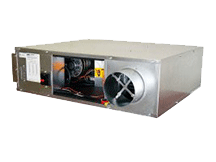 We have special programs available for stocking residential heaters. PREPAY & ADD: Warren will pay the carrier for the freight charges and than add a freight charge to customer's current price once the product is shipped. The amount billed to the customer from Warren may or may not be equal to the actual freight charges. Thus your new total, which now includes freight charges will be higher than your original quote, which did not include freight. C.O.D. : Upon delivery, customer pays for entire invoice which includes product and freight. FREIGHT ALLOWED: Freight is included in the quote. There are no additional freight charges to the customer. FREIGHT COLLECT: Freight is not included in the quote. Consignee is responsible for freight charges to be billed separately. PICK UP: Freight will be picked up at the factory. No freight charges are applicable. THIRD PARTY BILL: Neither the consignor nor the consignee is responsible for the freight charges. The legal payment obligation is determined from the parties identified on the Bill of Lading Contract. What is my multiplier or discount? Multipliers and discounts are determined by customer and the dollar amount of your quote. See factory for special discounts, large projects, or for general clarifications. What is Warren's phone number for duct heater quotes? How do I trace my shipment? Our website is linked to websites of various carriers such as Fedex, UPS, Estes, XPO, Southeastern, YRC, etc. You simply click on the tracking number located in your order screen and you will be instantly connected to the carrier’s website. Once you are there, you will see all of the necessary tracking information. You can also contact us directly. How do I contact Warren? Our standard payment terms are 1% 10 days, net 30 days, 2% per month service charge. Is there a charge for canceling my order once I submit a purchase order number? Yes, there is a charge for cancellations based on number of days order is in production. Cancellation charges are based on how far along the order is in production. All returned goods must be accompanied by a “Returned Goods Authorization” (RGA) number which is issued by the factory. Please fill out an RGA request form and email it to the Customer Service Department at dmcconnell@warrenhvac.com or simply contact Warren’s Customer Service Department by phone to receive a “Returned Goods Authorization" (RGA) number. The RGA number must be shown on the bill of lading or in the packing list for Warren to accept the shipment. Do not return any goods without the RGA number. Most units are custom manufactured and cannot be restocked. Credit will be given for salvage value of the electrical components only, less removal and restocking labor charges. How do I get a heater duplicated? 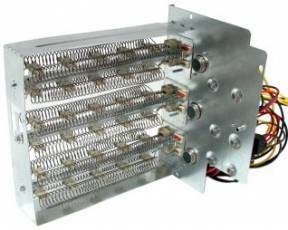 If the manufacturer of the old heater is Warren Technology, then contact our sales department. If Warren Technology still possesses the engineering for the original heater, then sales can quote a new price immediately. If Warren Technology does not possess the original engineering for the old heater, then you will need to fill out an RGA request form. In the column “DESCRIPTION OF PROBLEM" under heater return information, write in “HEATER FOR DUPLICATION." When you receive your RGA number, send the heater to be duplicated to Warren Technology with the RGA number visible on the heater box or in the packing slip. 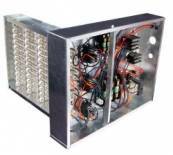 When we receive the heater, engineering will analyze the unit and sales will contact you with a quote. 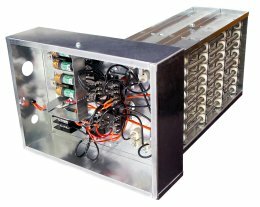 If the manufacturer of the old heater is unknown or is not Warren Technology, then you will need to fill out an RGA request form. In the column “DESCRIPTION OF PROBLEM" under heater return information, write in “HEATER FOR DUPLICATION." When you receive your RGA number, send the heater to be duplicated to Warren Technology with the RGA number visible on the heater box or in the packing slip. 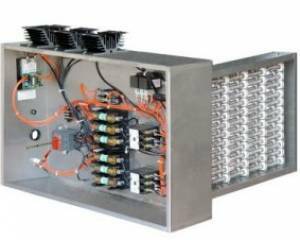 When we receive the heater, engineering will analyze the unit and sales will contact you with a quote. How do I get replacement heater elements? If Warren Technology possesses the original engineering for your heater, then the Parts Department can quote a price for replacement elements immediately. If Warren Technology does not possess the original engineering for your heater, then you will need to fill out an Element Replacement Worksheet and fax it to the Parts Department. When we receive the work sheet, engineering will analyze the information and the Parts Department will contact you with a quote. How is Warren's involvement in field repairs? Any field repairs, modifications, troubleshooting and expense incurred here is solely the responsibility of the purchaser unless written authorization is obtained from the factory. No “back charges" or costs to Warren will be honored unless a predetermined work authorization agreement is issued by Warren. 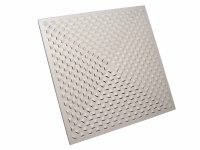 How can I obtain control panel dimensions on an electric duct heater? The best way to handle control panel dimensions requests is to ask your customer if they have any critical dimensions. This will enable the factory to know how much engineering is required to best answer your question. Once you have that information contact your sales representative and a request will be made to Engineering to get you dimensions. When entering a quote for custom built electric heaters (CBK), why does my individual line item price per unit sometimes change when I make changes to line item quantity, or other line items in the quote? What is deration and how does it change my heater? Derating a heater or deration is the lowering of a heaters operating temperature without affecting its total KW output. This results in longer lasting and more durable heating elements, that may be subjected to low airflow conditions. How do I know if I need deration and if so how much? Warren Technology has published a Heat-Velocity Relationship chart that will allow the user to specify the correct amount of deration for a given heater application. (The CBK quoting program will automatically recommend the proper deration.) The use of this chart will require the user to calculate the KW/sq.ft. and the air velocity (formulas for these values can be found on the “Heat-Velocity Relationship” chart). The intersection of these two values will indicate the amount of deration that is recommended. 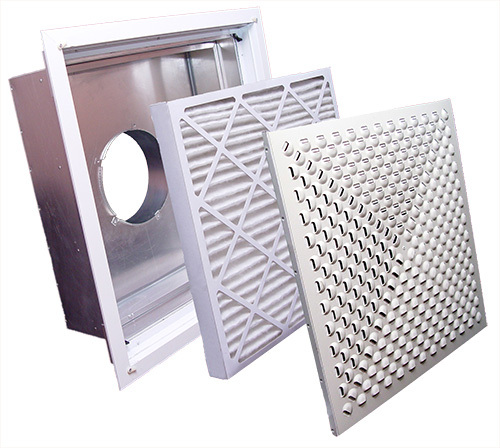 SPECIAL APPLICATIONS: Heater applications that involve VAV or the heating of outside air are special cases which require a minimum of 15% deration. Can I change the mounting position of a duct heater in the field? 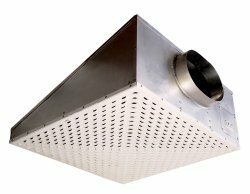 All custom built duct heaters are manufactured to a specific mounting position. Any attempt to change this position must be pre-authorized by the factory. Please contact the Customer Service Department with the heater’s invoice number and a description of the newly proposed mounting position. Please note that no attempt should ever be made to mount a heater upside down. Can I change the voltage of a duct heater in the field? Any attempt to change the voltage in the field will void the duct heater’s U.L. label. Please contact the Customer Service Department to find out if the heater can be reworked at the factory or if the heater will need to be scrapped and a new heater built.